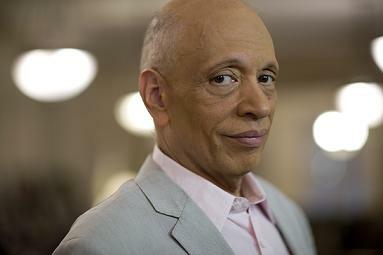 If anyone out there has anything against Walter Mosley, you might want to un-follow me for a couple weeks. I’m on a Mosley bender these days, and I ain’t apologizing for it—mostly because Walter Mosley’s books are literary crack. But if you’re one of the cool kids, you know that already. I’m currently listening to his very first novel, Devil in a Blue Dress, and I plan to raid the local library for everything Mosley at the first opportunity. 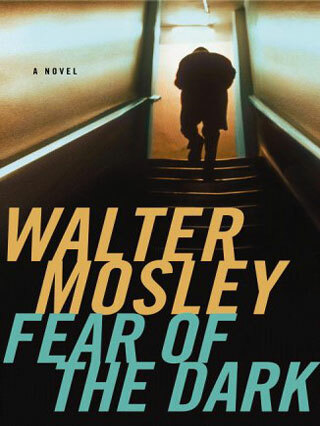 Right now, however, I’m all about another Mosley novel, Fear of the Dark. It’s the third in the Fearless Jones line of mysteries, one of Mosley’s many [Insert main character here] novels series. Seems like he’s got a ton of those things. I’ve read three of his novels this year, and I still haven’t read two from the same series. The Fearless Jones novels are different in their narrative style, though. Like most of Mosley’s work, it’s told in first person; however, in this case the narrator isn’t the titular character. 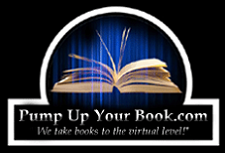 The narrator is Paris Minton, a short, skinny black man who owns a used bookshop in the Watts neighborhood of L.A. during the 1950s. He’s also scared of his own shadow. Paris’ friend Fearless Jones is his exact foil. Fearless is tall, strong, stalwart, and handsome. He’s universally respected by the black community, loved by women of all kinds, and—true to his name—utterly fearless. It would be a rather Holmesian narrative structure, except for the fact that in this case Dr. Watson is the protagonist of the story. It’s an interesting concept, though—naming a series after a supporting character. It takes a certain kind of balls to do that in today’s publishing world. Anyhow, the book begins as Paris’ troublesome cousin Ulysses S. Grant IV (a.k.a., “Useless”) drops by his bookshop for a visit. The last time Useless dropped in for a social call, he stashed a bag of stolen jewelry in the tank of Paris’ toilet. Paris managed to find the goods and dispose of them just before the cops arrived to search the place, but he still learned a valuable lesson—that is, don’t trust Useless farther than you can throw him. That’s why he tells his cousin to get lost and goes back to reading his books. Minutes later, the white girl Paris has been messing with—a bag of rabid weasels named Jessa—swings by for a roll in the hay. She’s all hot and bothered ‘cos Paris has a big honking wang (it even says that in the book) and she needs money for the rent. Their exchange of services is interrupted by Jessa’s white boyfriend who busts through the door of his shop and goes after Paris. Being the craven soul that he is, Paris bolts, dashing out a window, through his back yard, and onto the street. He barely manages to escape and goes to find Fearless for help in reclaiming his store—you know, ‘cos Jessa’s boyfriend might still be waiting for him and all. When he and Fearless return, they find the boyfriend’s body lying in the foyer with a couple of neat holes in his forehead. Paris wants to run for the hills, but Fearless calms him down and helps him dispose of the body. By the way, has anyone else noticed the Homeric parallels to these characters? I mean, Mosley’s Paris is weak, cowardly, and amorous just like Paris of The Iliad. To get out of trouble he depends on his friend Fearless, the allegorical representation of Paris’ older, warlike brother Hector. And wouldn’t you know it? In the original Greek, the name Hector means “anchor” or “steadfast”—or in other words, “fearless.” There’s even a character in the book named Ulysses. I could act like a real academic (rather than one of the armchair variety) and stretch the limits of time and space to make even more comparisons, but I don’t think that’s necessary. Suffice to say that Mosley infuses all of his novels—not just Fear of the Dark—with boatloads of references to classical literature, which is one of the many reasons I’m so gung-ho about Walter Mosley. Anyway, back to the plot. The next day Paris is surprised by yet another visitor at his store. This time it’s his Auntie Three-Hearts, just off a bus all the way from Louisiana and looking for her son Useless. Unable to say no to the woman who practically raised him (and who is purported to possess an “evil eye” no man can cross and live), Paris agrees to help her look for her son. Along the way he enlists the help of Fearless, a bail bondsman named Milo, and a private detective named Whisper. What ensues is an odyssey in its own right, a days-long trek through the dregs of L.A. society, through beatings and murder and blackmail, all to find his worthless cousin. It quickly becomes obvious that Useless has gotten himself into some extra-serious trouble this time, and Paris has to overcome his own foibles to yank his cousin out of the fire. I won’t go into what happens after that (wouldn’t want to spoil the surprise, now would we? ), but there is one thing I’d like to touch on. Throughout the novel, Mosley peppers the plot with little details and incidences depicting the racial atmosphere in 1950s Los Angeles. Someone with an axe to grind might say the racial bent of some of the scenes is off putting, or that Mosley concentrates overly much on race. But I would say such a person is full of crap. To write a novel from the Black perspective in the 1950s and ignore racial issues is like writing a physics textbook without including the concept of gravity. Part of the power and authenticity of the novel is that it deals with those uncomfortable issues, and I applaud Mosley for not softballing certain things to make the novel more palatable to the general public. Plus, it’s not as if the novel downs on white folks the whole time. There are multiple instances in which kindness passes between characters of varying race, almost as if to foreshadow the events of the years to come. But again, I digress. Let’s carry on, shall we? Mosley’s books are a litany of characters and personalities. It seems as though every scene introduces a new player who is simultaneously larger than life and tangibly real. But just as important as the characters are their relationships to the community, a web of interpersonal relationships that plays heavily into the plot and resolution of nearly every one of Mosley’s books. His setting and diction are excellent as well, and even though one might argue that the plot of the story has been done before (just not with characters living in Watts), it doesn’t bother me. The strongest point of his work, however, has to be his voice. The tone—both in dialogue and general narration—has a style and power unique to Mosley’s work. Part of it is African American twist on the whole Noir experience, but that’s not all of it. Merely putting a new spin on an old concept can’t make a work phenomenal. There has to be more too it than that, and Fear of the Dark has it. Mosley’s writing is a marriage of the sublime and the vulgar that makes me slack-jawed with awe. Given all of that, I would be remiss in giving Fear of the Dark anything less than five stars. Mosley is a modern master of the Crime and neo-Noir genres. If you haven’t read anything by him, you need to get on that, and damn quick. I've seen this guy's books all over, but I've never read one. I will definitely have to check him out soon. Which one do you recommend I start with? On another note, I'm hosting a giveaway for H. Terrell Griffin's Bitter Legacy. 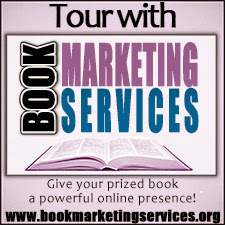 I know you have entered in the giveaways for his other novels, so I thought you might be interested in this one as well. If it counts for anything, I've read the series (out of order) and this is my favorite one by far. Starting at the begining is always nice. I actually just finished Mosley's first novel, Devil in a a Blue Dress, but you can pick up any of his books and enjoy them as stand-alone stories. The first book of his I read was published this year, and he's been publising books since 1990. So yeah, reading them chronologically is not required to enjoy them. As for your giveaway--I'll be there just as soon as my little fingers can carry me over the interwebs. you know I can't see the title of that book without singing Iron Maiden, right? Think that was deliberate? ha! Anyway, I might have to check out this series. I wasn't that caught up in the Rawlins books...I think I only read the first one. I did read a stand-alone that I loved...The Man in the Basement or something like that. Quite good and very different from his usual books. Yeah, I had the exact same thought when I read the title. As for Mosley's first Easy Rawlins book, I actually just finished reading it--funny coincidence, huh? Anyway, I agree with you that it isn't his best. I still enjoyed it, mind you, but he's definitely improved over the years. I mean, who wouldn't over a 20+ year writing career? Each person is going to have different opinions, but I encourage you to give him a try and see if he fits your fancy. You read wicked-fast anyway, so I'm sure you'll blow through it in, like, 2 hours flat. I'll have to add something from him to my reading list! Whatever you pick, you can't go wrong, Trev. Thanks for swinging by. Never heard of this guy. I'm going to have to check his stuff out. I'd offer to lend you one of my books, but... I don't think the shipping in to Taiwan would be very budget-friendly. Ebooks then? Hey, know About Rene Russo biography? Visit Our page or Secrets Of Rene Russo! Do You Know?